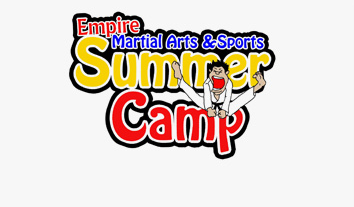 Empire Tae Kwon Do camps include our industry leading traditional martial arts training coupled with many of the activities associated with standard summer and day camps. Camp days are diverse, exciting, and challenging. In addition to great exercise and martial arts camp days include field trips , constructive games, kid’s movies, art and crafts, and character building activities. 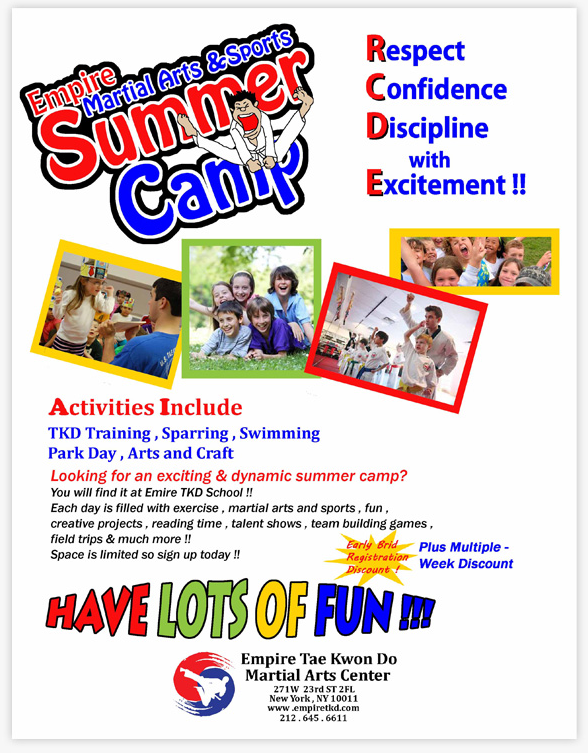 Empire Tae Kwon Do camps offer the perfect solution for parents. Our spacious facilities and matted floors offer a great environment for campers to exercise, stretch, kick and punch during the martial arts classes. Before and after class we use the same matted area for indoor games, and sports. Separate study and activity rooms with board games, books, and children’s movies are also a camp favorite…it offers a nice break from each days physical activities. Each camper is also provided a storage space for their equipment, lunch, and snacks that they wish to bring to camp. Each day, campers participate in a traditional Taekwondo class. Campers can expect improvements in coordination, physical fitness, focus, and discipline. The martial arts instruction also offers valuable self defense skills and increased self confidence. Campers participate in the same class curriculum as a full time Taekwondo student experiencing all of the traditional benefits associated with a martial arts education. Whether campers are spending the day swimming in a local pool, visiting a museum or local park, working on their latest Taekwondo skill, you can be sure your child will have a great experience in a positive and safe environment. Simply put, our camps are focused on good constructive fun coupled with awesome exercise and great opportunities to learn. 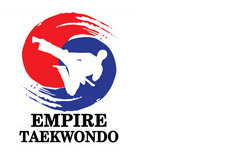 Call or visit Empire Tae Kwon Do today and discover their latest schedule of upcoming camps.